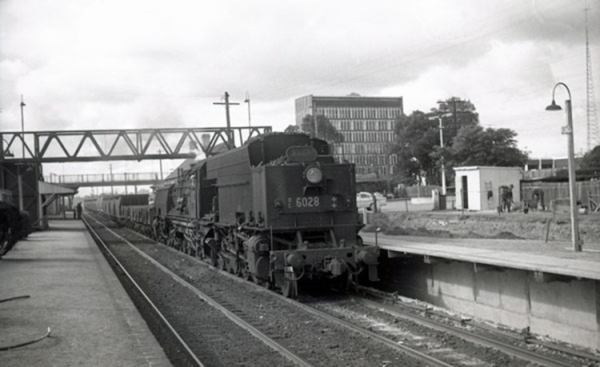 In today’s world, where passenger trains are rarely loco hauled, and electronics delivers the news instantly, it may be difficult for people to comprehend the way it was back in the 1960s, when steam ruled the rails, and rail passenger transport was still vitally important to getting people around. 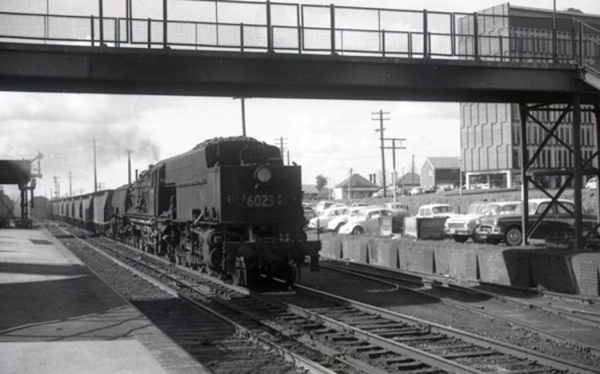 Quite apart from the fact that air fares were far higher than train costs back then, there simply wasn’t as much car ownership, and roads were such that it was often more convenient to take a leisurely train journey than drive to country locations. 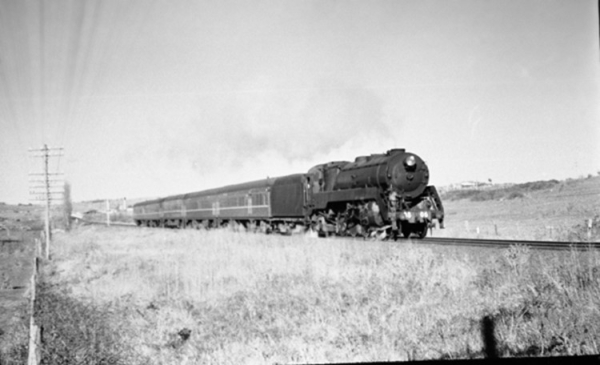 Mail trains headed out across the state from Sydney leaving late at night, complete with the mail, and passengers in the comfort of sleeping cars. Their departures were left as late as possible so that mail could be sorted in time and the early editions of the daily newspaper included for delivery to newsagents in the wee small hours. Being rather young at the time, only 14 in 1966 when this all started to disappear, I had limited exposure to the late night trains. 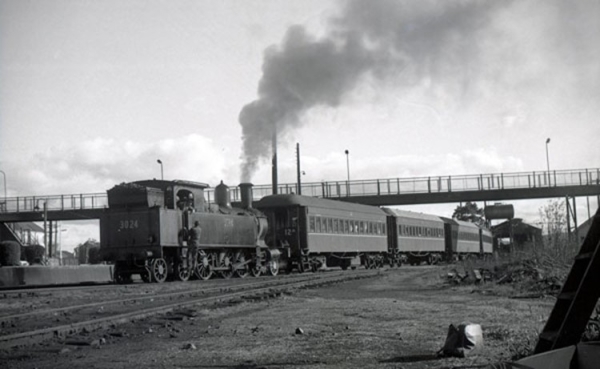 I did, however manage a few trips, especially to Goulburn, where my first long distance ride was on number 31 mixed to Goulburn, a trip which always included the morning papers. 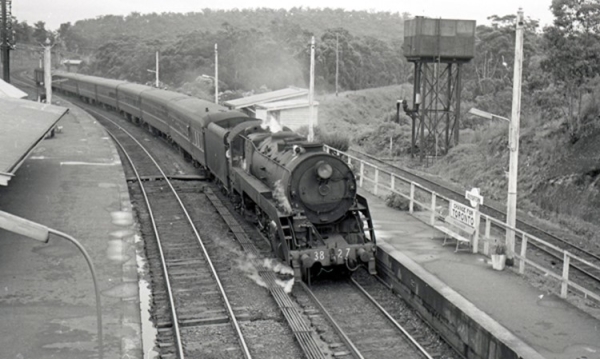 This train would leave at 1.10 am from Sydney, usually with a 38 in charge, and my first trip was late in 1966. I remember it for two reasons. I had negotiated with my mum to turn the pages at her pipe organ concert that night, in return for being dropped off at Central. My mum, being the nice person she is, went up to the loco and asked the driver if I could ride in the cab for part of the way! She was worried about me travelling alone in the early hours. Of course, I was just excited to be making the journey. 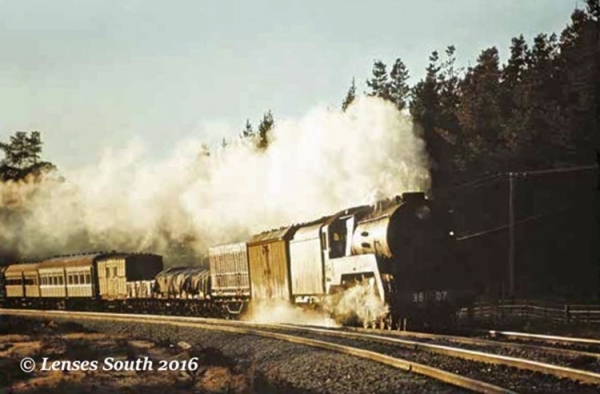 3811 was the loco that day, and I returned to the passenger car at the rear of the train, beyond the freight wagons and just in front of the mail van. We set off on time with plenty of smoke wallowing down the train and covering me with snoot. As we moved through the suburbs, I was determined to stay awake all night as I didn’t want to miss my cab ride later in the morning. At this stage I had never ridden in a mighty 38 Pacific. 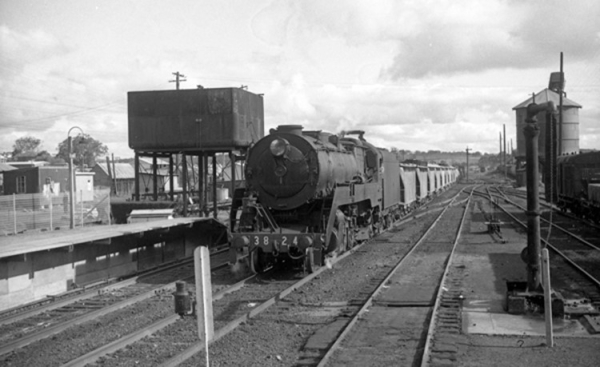 The arrangement was to ride in the cab after Moss Vale as that was the last place we were likely to see any loco inspectors. It was illegal to ride in the engine then and now, although I managed quite a few rides over the years, including a mighty 25 class in South Africa. Added to that, I had broken my arm earlier that year, and had a very white coloured arm, the plaster having been removed only 2 weeks earlier. So after I climbed onto the footplate, I was handed a present. A shovel! You can earn your keep, he said, and I proceeded to learn how to lay a fire. 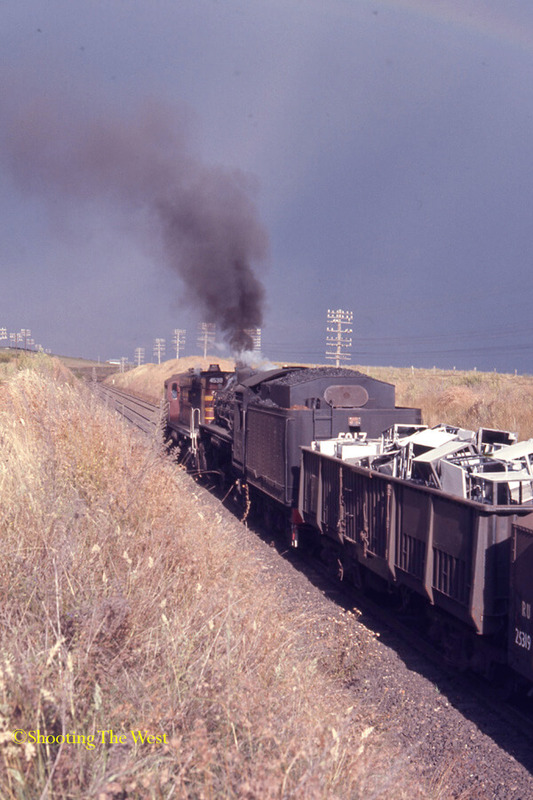 Now a 38 is quite a large hand fired coal guzzling machine, and there was a fair grade out of Moss Vale heading south including a steep 1 in 66. My left arm was weak as it hadn’t been used for months, and I have to say, the effort near killed me! Not that I was going to let on, as it was the experience of a lifetime for a 14 year old. 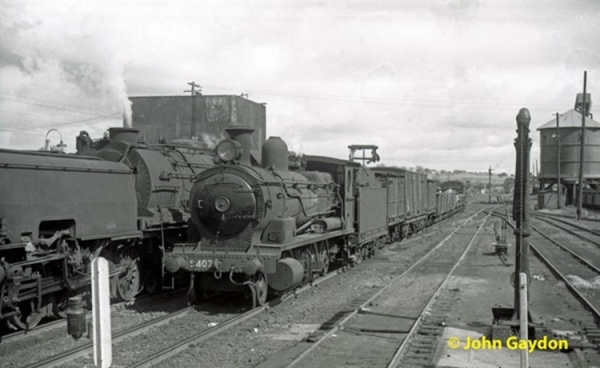 For those of you not familiar with NSW steam, the coal used here was from Newcastle. There were quite large chunks and it is relatively light, utilising a rather wide shovel. As you can see in the picture, this fireman is using the butterfly doors as a means to retain heat in the firebox. You step on a plate on the floor and the firebox door opens as you swing the shovel full of coal towards it. It requires a bit of coordination as if the door is closed you can damage the shovel and it makes a bit of a mess. I learned that coal needs to be distributed throughout the firebox grate, covering the near and far ends. I would simply drop coal into the back of the firebox, and propel it to the front corners, until there was nice, even heat. There is some assistance with jets to help smooth out the fire, but mostly it is the fireman’s skill that determines how well the engine steams. Of course, there is more to firing than just the shovel, so they gave me some instruction on maintaining the steam level as well. As you all know the tender contains a considerable quantity of water, which is used to create steam. 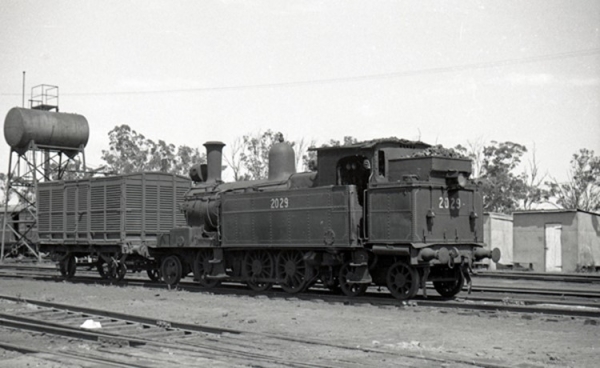 A 38 operates at 245 psi, the highest pressure of any loco in Australia. That means you needed a decent fire to get up steam, and it consumed plenty of water. Water is forced into the boiler by means of an injector. This device uses steam from the boiler to force fresh water into it. Too much cold water will reduce pressure, and too little results in wastage of steam or damage to the boiler. The trick is to keep pressure up just under blow off, when the maximum is exceeded, while making sure there is ample water in the boiler. A glass gauge is used to measure water levels in the boiler and there is a pressure gauge in the cab as well. 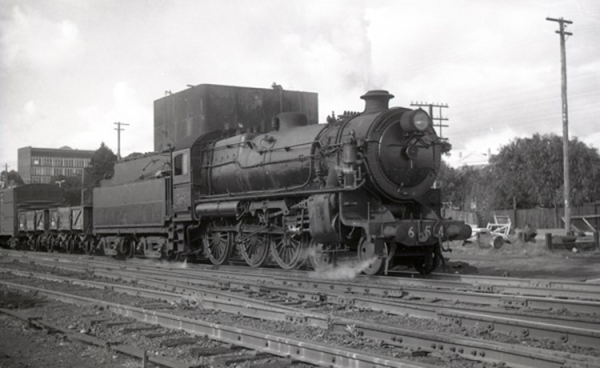 The 38s and other NSW steam locomotives, were not equipped with speedos. 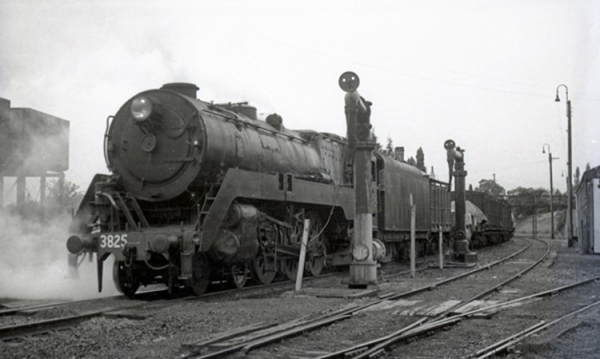 Nowadays it is a requirement, and preserved locos have a range of extra equipment, that wasn’t there in regular service. That means that they could go rather fast at times, undetected by the authorities. In all the time I recorded steam trains I never clocked one much above 80 mph, only slightly above the permitted 70 mph, which demonstrated how well crews could judge the speed. The timing of use of injectors made a huge difference to performance of the loco. When approaching a grade, we filled the boiler about 5 minutes before, then built a fire to get steam near full pressure as we started the climb. 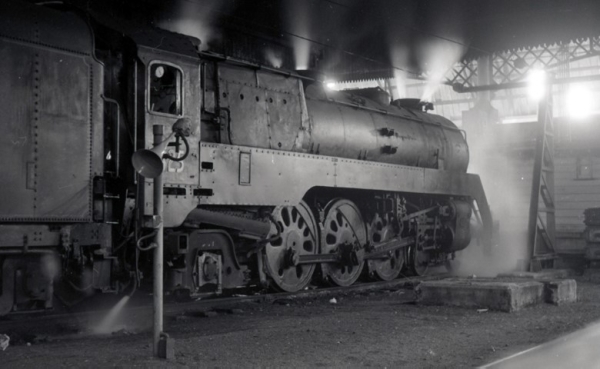 If all went well, there was enough water in the boiler to produce steam to propel the train over the grade. If not, the injectors had to be turned on so the boiler wouldn’t be damaged, lowering pressure and in some cases allowing water to emit, or in extreme cases, the engine stalls. In the modern era, with many crews not full experienced, we see more and more stalling on grades. Perhaps that is why there is often a helper diesel included in the consist. The other main time for adding water is approaching a stop. Steam pressure builds up while the train is stationery, so lowering the temperature with more water prevents “blowing off”, protecting the boiler and releasing steam when the pressure gets too high. This is simply a waste of energy. You will often hear the scrape of the shovel and hiss of injectors while in a station as steam is built up for departure. Anyway, my first lesson as a trainee fireman was a marvellous experience. I could hardly use my left arm afterwards, and while I remember this trip vividly, I have no idea which train I caught home! 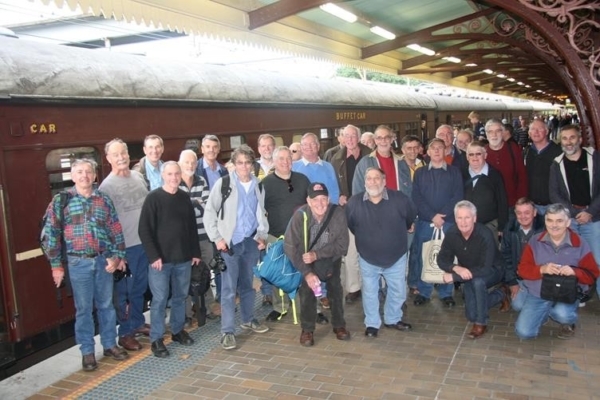 We have included cab riding experiences on the Melbourne Limited, and other great tales in “Lenses South“, a new book being released in May. 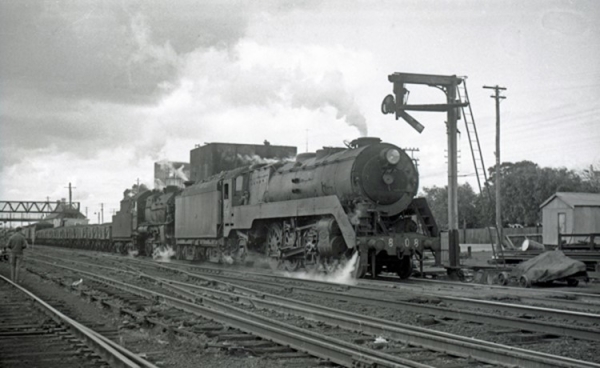 Take a look at the information, it will be a must for every lover of NSW steam action, and revive many memories.